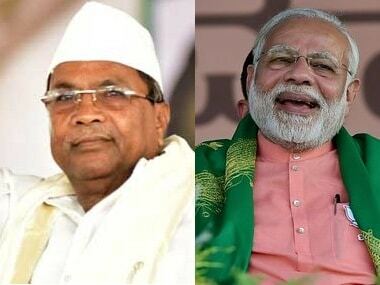 Bengaluru: Contrary to popular perception and probably in variance with the situation in several other states, Karnataka has never exhibited a clear caste-wise preference in voting patterns. 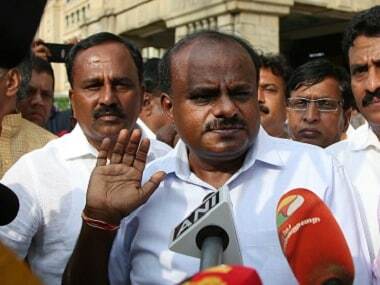 The general impression is that the dominant Lingayat-Veerashaiva community in northern Karnataka favours BJP and its chief BS Yeddyurappa, whereas the Vokkaligas in the south and central parts of the state largely favour former prime minister HD Deve Gowda and his Janata Dal (Secular). The other backward classes and the Dalits are largely pro-Congress. While such an assumption is entirely possible, there is no clinching evidence to prove that some voters do exhibit the preference in the manner listed above. At most, the conclusion is circumstantial and, if at all, on shaky ground. Further, such a smug analysis is problematic as it tends to belittle the political consciousness of an individual voter. Secondly, it blows up caste into a factor that looms larger than any other reality as if nothing else is equal, if not more, important. Third, it tends to treat the electorate as sheep. Karnataka’s caste break-up in the 2011 census has never been officially released. 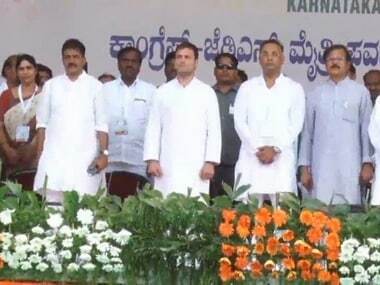 According to some media reports, which claim to have access to the Census figures, of the 84 percent Hindu population, the Dalits are close to 20 percent of the population, the politically dominant Lingayats and Vokkaligas around 10 percent each, the scheduled tribes at seven percent and Brahmins comprising two percent. The remaining mostly comprise the OBCs, including seven percent of the politically influential Kurubas. The track record of elections in Karnataka shows that caste has never played a decisive role in deciding the final outcome. 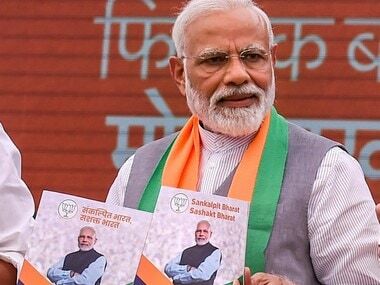 From 1983 onwards, when the first non-Congress government came to power, successive elections have been a referendum on the nature of governance. Each time a ruling party has indulged in infighting and maladministration, it has been defeated, without exception. Also, there have never been caste-centric parties in Karnataka unlike, say, in Uttar Pradesh and Tamil Nadu. When seen from this perspective, it is difficult to reconcile caste loyalties to the eventual outcome of the elections. For instance, when the BJP was voted to power in 2008 one of the erudite conclusions was that the Lingayat vote was solidly behind Yeddyurappa. In the 2013 elections, when Yeddyurappa broke away from BJP to form the Karnataka Janata Party (KJP) his party performed very poorly in north Karnataka getting just six seats. In the north's Mumbai-Karnataka region, the BJP secured 14 seats, down from 38 in 2008. As for Yeddyurappa, he managed just two seats. How should one interpret this result? What happened to the solid Lingayat vote base Yeddyurappa was supposed to carry with him? Did the community decide they had enough of their favourite leader? Not to forget that the Yeddyurappa government had allocated funds for various Lingayat mutts and curried favours from seers to establish his credentials as their leader. One can argue that the Lingayat vote was split between Yeddyurappa and his former party, the BJP. But even this does not hold as the BJP too performed miserably in north Karnataka. If there was indeed a caste-based split and Yeddyurappa came off worse, can one conclude that the Lingayats were with the BJP rather than with Yeddyurappa? The Congress swept the Mumbai-Karnataka region winning 34 of the 56 seats. What about the Lingayats who voted for Congress? Did the Congress do anything specific to attract them? None at all. Then how did this caste decide to turn to the Congress? The point of all these questions is to establish that there are no clear answers if seen logically. For, it is next to impossible to ascertain why an individual voter decided to vote for a particular party. Was it not possible that a Lingayat voter in 2008 thought outside of the caste and made an objective assessment? Meaning, taking a stance against the then Yeddyurappa government’s dalliance with corruption, maladministration and intra-party fighting. Lest anyone gets a wrong impression, socially, Karnataka is as caste-driven as any other part of the country. Marriage alliances, family events, and other caste-based rituals are deeply entrenched. Social oppression of Dalits and other social caste-based injustices are equally prevalent in the state. The issue, however, is that when it comes to elections and voting choices there is no evidence that these prejudices are carried through. Society in Karnataka is far more fractured than popularly known. For instance, the Lingayats and Vokkaligas are multi-layered caste groups. There are numerous sub-castes within both. And, they exhibit discrimination and inequality. Economically, the sub-castes reflect the entire range — from powerful, landed groups to poor landless labourers. And, their political outlook can therefore vary. Take former chief minister Ramakrishna Hegde. He was a Brahmin but had tremendous clout in north Karnataka. If caste was indeed a major factor, how was this possible? A Brahmin leader supported by multitudes of Lingayats? Especially when the Lingayat community itself was the outcome of a revolt against the Brahmin caste. The reason for support to Hegde was not caste-based at all. In the 70’s when Congress chief minister D Devaraj Urs implemented land reforms, it was opposed by the powerful landed interests in north Karnataka. Hegde chose to support these interests, and over time, he acquired a huge following in that part of the state. 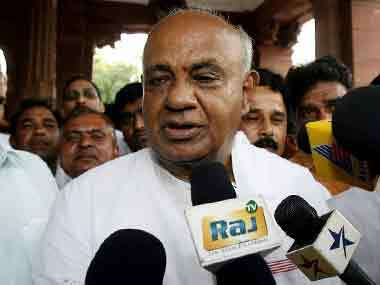 In another example, Gowda is supposed to have the backing of Vokkaligas in south Karnataka. While this may be true, it is also because the people may like him for reasons other than caste alone, for example, his social commitment, his efforts to develop the southern regions in his long political career and his affiliation to the Janata Dal, etc. Moreover, it may not be the Vokkaligas alone but other castes too who may have supported him in past elections. Else, it would not have been possible for him to be successful. In 1989, when he broke away from the Janata Dal, his faction secured just two seats out of the 217 seats it contested. What then happened to his hold over the Vokkaligas? While it does not take much to attribute caste reasons for the success or failure of a party, in the case of Karnataka, it is necessary to look beyond this to arrive at an understanding of voting behaviour. That is also the reason why the Congress move to recommend separate religious status to the Lingayats makes this election interesting as it is the first such direct overture to a caste group in the state.